At our essence we are all energy. We are particles of vibrating energy and every single atom and molecule vibrates with a unique energy signature. Science is catching up to this concept and finding ways to measure these vibrations. With this knowledge, we can then apply it to improve our daily lives. Recently, I came across a website that uses special technology to analyze the crystalline structures of food and water, along with other bodily substances. Click on “Water – our Wellspring of Life” to see the different crystalline qualities of water. Without any scientific training, it is easy to see that water source significantly affects the crystalline structure of water. 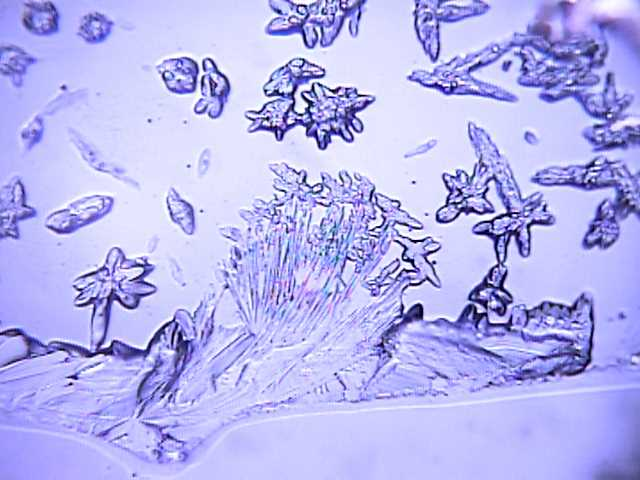 One can think of crystalline structure as the specific energetic vibration of that water sample. The water source and the treatment of the water will affect its vibrational quality. Now, water is very popularly recommended to drink. Often 64 oz of water or more per day is recommended by nutritionists, physicians and other health experts. However, if the water isn’t of the optimum quality, vibrating at an ideal energy, or if the crystalline nature of it is not optimized, it probably won’t give us the most benefit, no matter how much we drink. So what can you do to experience high vibrational water in your daily life besides living in the mountains and drinking only water that comes fresh from the side of the mountains? Well, there is a simple technology that quickly shifts the crystalline structure of water to one of more coherence and symmetry, i.e. higher vibration. This water will support your own body into more coherence and symmetry. Higher form in the crystalline structure creates higher function, meaning that your body can function better with this higher quality water. The water that is brought into this higher crystalline form is called Structured Water or “Wu Wei” (“action that does not involve struggle or excessive effort”) and is made by a company called Natural Action. They have a simple product that you can use daily to provide this kind of water to yourself and your loved ones. Amazingly enough, the water created by this structuring process also has the ability to reduce bacterial loads. Say what? Yes, the structuring that occurs will alter the amount of bacteria in a given contaminated water sample. In fact, an experiment done showed that pouring E. coli ladened water through the Natural Action unit reduced the E. Coli load by 25%. So bring your body into more harmony and higher vibration through the use of a Natural Action water unit to create structured water in the convenience of your own home. Drink this “wet” water, or water that your body can optimally use and absorb, and feel the difference it makes for your health.